Viewers, assemble! 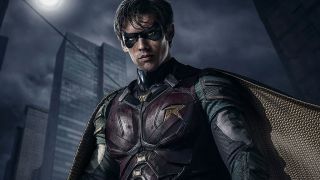 DC Universe, the all-in-one-place streaming service for DC television shows, films and comics, has now arrived on Amazon Fire TV streaming devices. DC's platform launched mid-September, and was already available on Roku streaming devices, Android TV, Apple TV, and Android/iOS mobile devices. The addition to Amazon's streaming devices will be sure to get it in more people's homes, even if DC Universe is currently limited to the United States, and has yet to appear on Xbox One or PS4 consoles, or other smart TV platforms. Amazon Fire TV owners can now download the DC Universe app, though you'll still need a $8/m (around £6, AU$11) subscription to DC Universe to access any of the content. There's also an annual subscription option for $75 (around £60, AU$105). DC Universe launched on September 15, on what DC has taken to calling 'Batman Day', after one of the publishing company's most iconic heroes. In keeping with the image of Batman's tortured hero, however, the rest of us outside the US have been excluded from joining in the fun - even if the live-action Titans has now been confirmed for Netflix UK. The streaming service is still only a few months old, and its push to be seen on as many platforms as possible will hopefully lead to DC Universe entering other territories and markets other than its home soil in the near future.